As a mom with 2 young children at home…not to mention a cat and a dog…I don’t want to have a lot of chemicals around the house that could get inside their mouths or harm them in some way. But for years, I resisted making my own homemade cleaners, because I thought that there was just no way that a homemade concoction could would better than a highly-engineered, scientifically tested formula from the store. 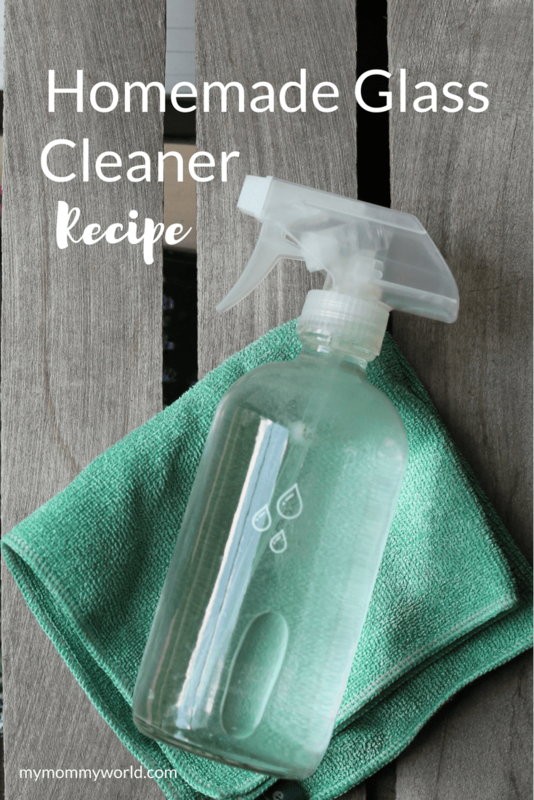 After seeing a lot of other mom bloggers writing about homemade cleaners, I thought that maybe I could try out a homemade glass cleaner and see if it really was worth making my own. Not only did I try it, but now it’s the only one I will ever use…it works much better than the expensive ones in the store. 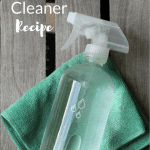 There are many recipes for homemade glass cleaner online, but I think this is one of the easiest, and I always have all the ingredients in the pantry. I made a tiny change from the original (unfortunately, I never did write down where I got it from…it was years before I started blogging), and I love the way it makes my windows sparkle. Mix ingredients together in a spray bottle. Give the bottle a good shake and it's ready to use. If you use the essential oil, you’ll want to shake the bottle briefly to mix the oil and water before you spray it on the windows. 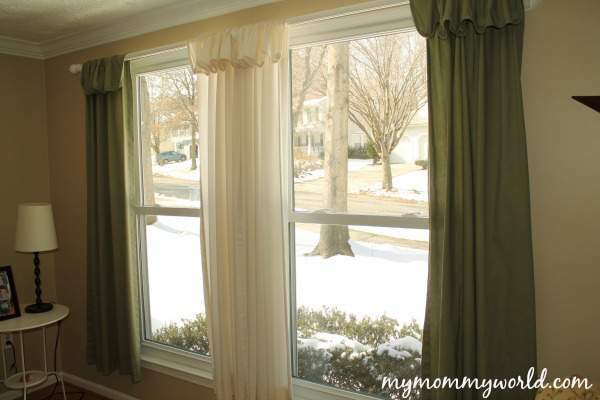 I like to use my window eCloth to avoid leaving paper towel fibers on the glass. 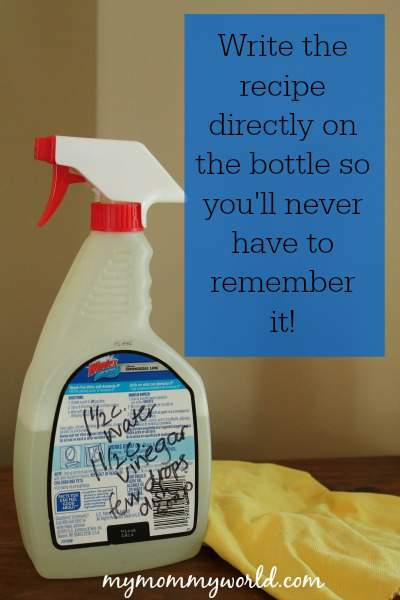 Not only is this homemade glass cleaner, very effective, but it is also very inexpensive to boot. The vinegar is super cheap and the bottle of essential oil was only a few dollars at Hobby Lobby with a 40% off coupon and has lasted me a very, very long time. See how pretty my living room windows come out? I really do think that the vinegar works better than store-bought cleaners. Have you ever made homemade glass cleaner before? Do you think you’ll try it?